I love my sweet Sarah. 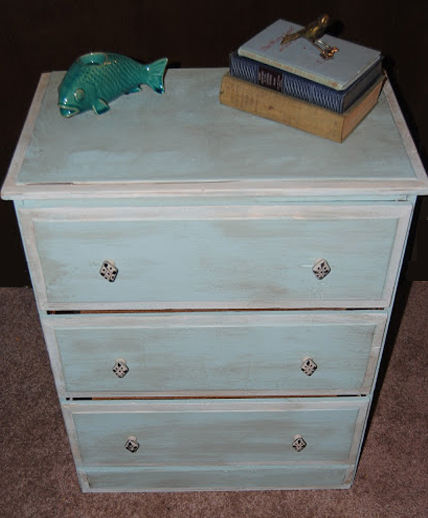 She had a shabby and chic makeover - sea foam green with vintage white accents and jazzed up with some tobacco stain. 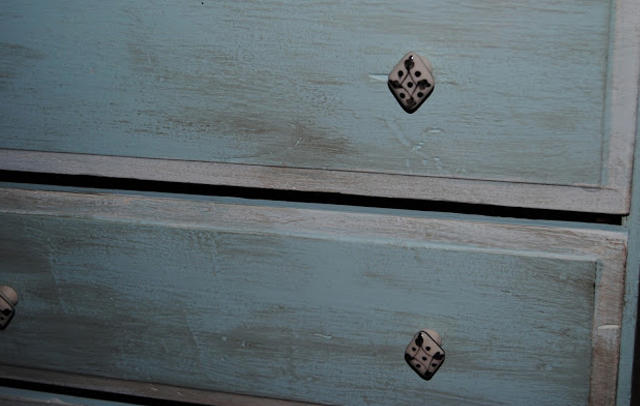 She has six gorgeous black and white ceramic knobs that suit her beautifully. She would make a great side table, buffet table, or bedside table. Sarah could also be used as a children's dresser. And she exudes character. It's almost like she's smiling up at me in this picture! Can you give me the dimensions on this? I'm looking for a dresser that is 18 inches wide or less. This beauty? Why she's my No.1!